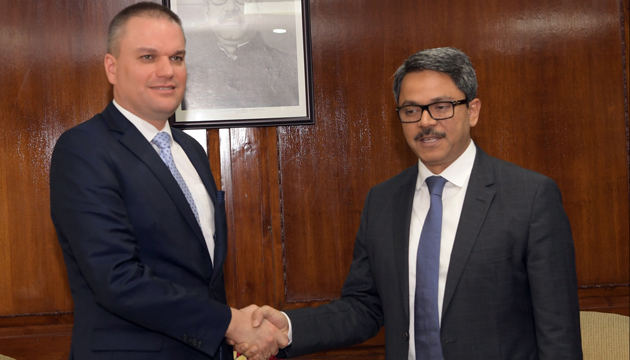 The newly appointed non-resident Ambassador of the Republic of Poland to Bangladesh Adam Burakowski paid a courtesy call on the State Minister for Foreign Affairs Md. Shahriar Alam, MP at his office today. At the outset of the meeting, the State Minister for Foreign Affairs congratulated the new Ambassador on his appointment as Ambassador to Bangladesh. It may be mentioned that the Ambassador presented his credentials to the President Md. Abdul Hamid on 07 November 2018. The State Minister for Foreign Affairs mentioned the excellent bilateral relations that exist between Bangladesh and Poland. He added that Bangladesh and Poland maintains shared and common positions on many international issues and agenda like Migration, Sustainable Development Goals (SDG), Environment, Development and other identified areas in different international platforms. State Minister briefed the Polish Ambassador about the tremendous economic development that Bangladesh has attained throughout the last decade. Mentioning the investment-friendly environment that exists in Bangladesh, he invited Polish entrepreneurs and businessmen to invest in Bangladesh. He mentioned that Bangladesh has a growing consumer society for whom Poland may export different products including food. 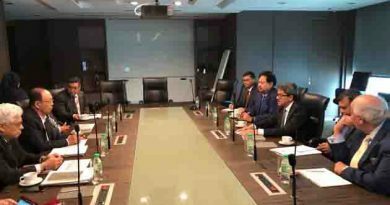 He asked the Polish government for the consideration of easing visa issuance process for Bangladeshi businessmen and students. 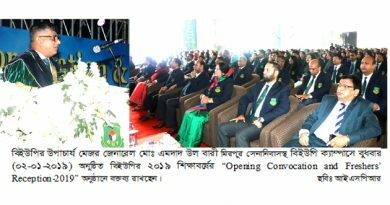 The State Minister informed that the Bangabandhu Centre for Studies on Bangladesh is soon going to be established in Krakow, Poland. Speaking about the genocide that took place during our War of Liberation, he mentioned that the Polish people may learn about the genocide that took place in Bangladesh and may visit the Center for the Study of Genocide and Justice in Dhaka. The Polish Ambassador, in this context, opined that the scholarly exchange of information on genocide may be conducted between the two countries. The Polish Ambassador expressed his happiness over presenting the Credentials to the President of Bangladesh. He also expressed happiness over the participation of the President at the inaugural ceremony of the 24th Session of the Conference of the Parties (COP) of the United Nations Framework Convention on Climate Change (UNFCCC) which is scheduled to be held in early December of this year in Poland. Ambassador Burakowski expressed thanks to Bangladesh for its support to Poland at international elections. The Polish Ambassador commended the excellent bilateral trade relations that exist between the two countries. 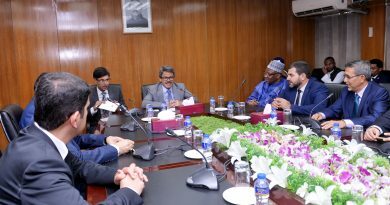 He informed that Poland may export processed food items including quality consumer products to Bangladesh. He mentioned that Poland is registering sound economic growth. Ambassador Burakowski also informed about the interest of Poland for cooperation in Green Development such as offering cooperation to Bangladesh in environment-friendly technologies in Waste Management and Coal Mining. Earlier, the Polish Ambassador visited the National Mausoleum in Savar, Dhaka to pay tribute to the martyrs of the 1971 War of Liberation. He also visited the Export Processing Zones (EPZ) in Savar. The Ambassador along with the other diplomats of the Polish Embassy in New Delhi is scheduled to visit the Rohingya camps in Cox’s Bazar tomorrow. The State Minister for Foreign Affairs assured the Ambassador of full support and cooperation during his tenure in Bangladesh and wished him all success. 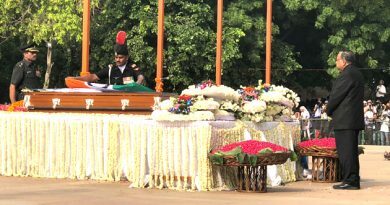 Bangladesh Foreign Minister A.H. Mahmood Ali pays tribute to Atal Bihari Vajpayee . OIC Parliamentary Body appreciates Bangladesh Government for hosting displaced Rohingyas .